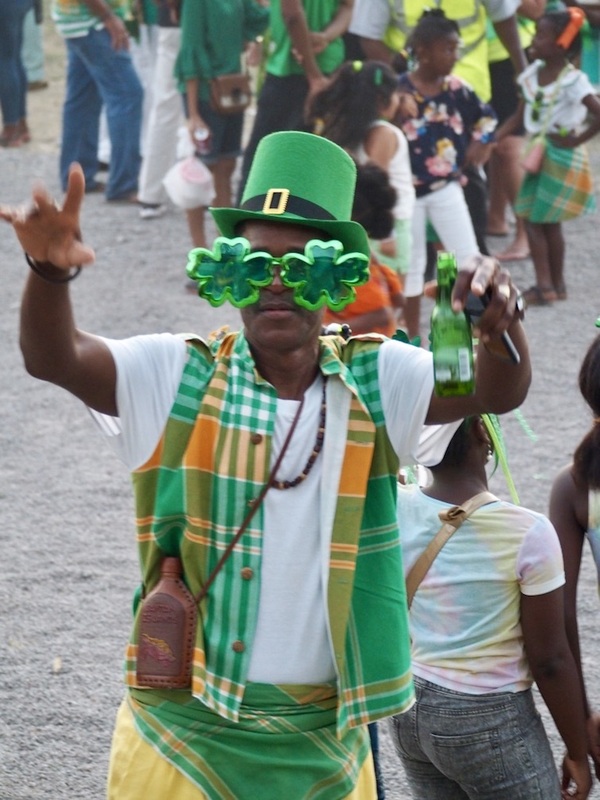 Montserrat's St Patrick's Day Festival - A Commemoration of The 1768 Slave Rebellion - Caribbean & Co.
One of the more unusual places to watch a St Patrick’s Day Parade is on the Caribbean island of Montserrat where there is a week-long St Patrick’s Festival that is increasing in popularity. 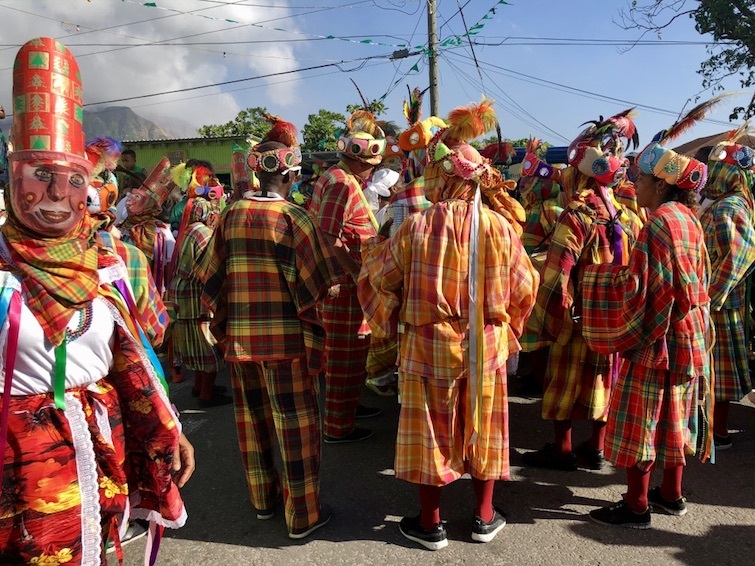 And beyond the St Patrick’s Day Parade every March 17th that includes troupes from Montserrat and neighboring islands like Antigua and Guadeloupe, leading up to that, there are a range of educational, cultural, heritage and straight up entertainment/party events. But the reason for this week-long festival is not to celebrate Saint Patrick the patron saint of Ireland, but to commemorate the nine or more West African slaves who lost their lives after the slave rebellion planned for March 17th, 1768 was uncovered. The majority of Montserrat’s early European settlers starting in 1632 were predominantly Irish Catholics. They came initially from neighboring Saint Kitts considered the British mother colony of the West Indies and later Virginia and Ireland. Some were indentured servants and political prisoners; others were tobacco and sugar plantation owners with a sizeable population of West African slaves that started arriving on Montserrat during the 1650s. The 1768 slave rebellion in Montserrat was slated to coincide with the annual St Patrick’s Day celebration as while the British governed the island, Saint Patrick’s Day was observed due to the large Irish population. And it was anticipated that the British and Irish would be distracted by the St Patrick’s Day feast, drink, and festivities at Government House. However, the slave rebellion didn’t happen as planned, as the freedom fighters were betrayed by an Irish woman who overhead a planning session. Once the slave rebellion was discovered, it was suppressed with nine executed and more than thirty imprisoned and eventually banished from Montserrat. While the planned St Patrick’s Day slave rebellion in Montserrat was not successful, as Hon. Claude E. S. Hogan pointed out in his 2018 St Patrick’s Day Lecture Montserrat: Still Masquerading?, it was important on a regional and international stage as it was the first in a series across the Caribbean that helped to bring about the end to slavery. This ultimately happened via an Act by the British Parliament signed August 1833 and came into force on Montserrat August 1st, 1834. 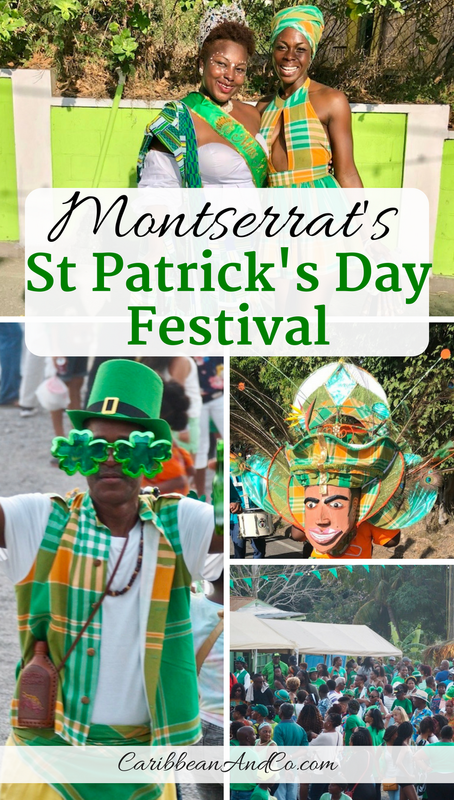 So it is in this context that festivities around St Patrick’s Day in Montserrat changed from being a one day Saint Patrick’s Village event during the 1970s to become a public holiday in 1985 with week-long festival circa 1995 that now attracts an increasing number of Montserrat diaspora and international tourists. The 50+ events throughout the week-long Montserrat St Patrick’s Day Festival (with the parade held in Salem and not the Village of St Patrick’s now buried under volcanic ash post-Soufrière Hills volcano eruption) reflect Montserrat’s current population who are mainly descendants of the West African slaves. And each year, the festival gets bigger and better with signature events including the Saint Patrick’s Day Lecture, Heritage Hike, Junior Calypso Competition, Miss Saint Patrick’s Cultural Pageant, Afro Madras Fashion Show, Regional Arrow Soca Monarch Competition, Heritage Bus Tour of Cultural & Historical Sites, Freedom Walk & Run and the Saint Patrick’s Day Parade & Heritage Feast. 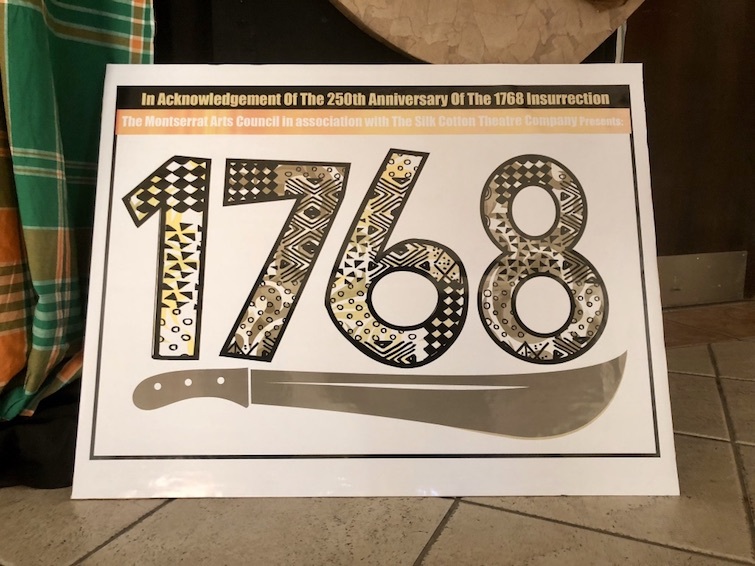 This year there was also a fantastic National Trust Flower Show & Garden Party with Fire Up A Mountain theme which was the signal for the 1768 slave rebellion. 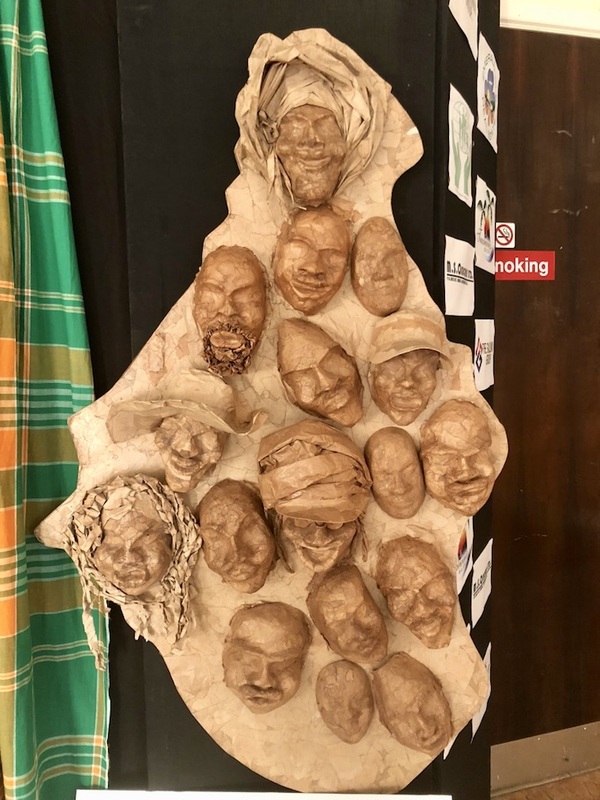 There was also an excellent exhibition at the National Museum of Montserrat titled Trials, Tragedy & Resilience designed to recognize and celebrate Montserrat’s rich cultural heritage on the 250th anniversary of the St Patrick’s Day slave rebellion on 17 March 1768. So where is the Irish cultural influence on events held during the Montserrat St Patrick’s Festival? Well honestly, it is somewhat limited. In years past, there has been an Irish Trad Band from Ireland, but not for 2018. The fact is that while during the 1640s there were over 1,000 white families (mostly Irish) living on Montserrat, those numbers were significantly reduced after slavery ended in 1834 and then in 1843 after a destructive earthquake. Thus while there are some black people on Montserrat with genuine ancestry links to Ireland, that percentage is small. Therefore, culturally, the Irish legacy in Montserrat is limited. However, you will find Montserrat villages, estates, mountains and even shorelines with Irish names like Blakes, Kinsale, Sweeney’s, etc. Also, many families have Irish surnames as after emancipation they adopted the names of their former masters. The Montserrat flag also has a British blue ensign with Irish goddess Ériú in green bearing a black crucifix and golden harp. And an Irish shamrock stamp is placed into the passports of visitors to Montserrat. Finally, Montserrat is known as the Emerald Isle of the Caribbean for its lush green landscape similar to coastal Ireland and for the early Irish settlers. 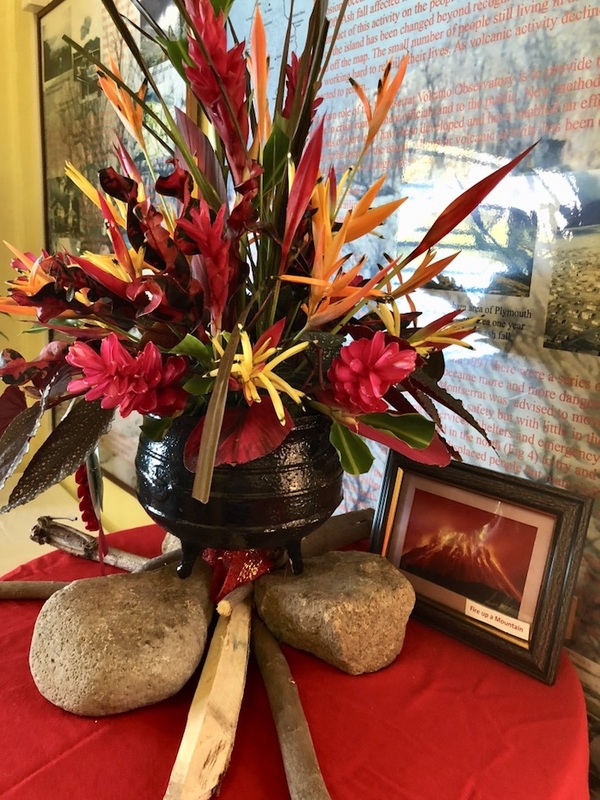 These while significant, have not had a major impact on Montserrat’s culture – i.e. its language, cuisine, social habits, entertainment, music, and arts, etc. Perhaps this is because the majority of the population has always had African roots. Also, Montserrat has more or less always been a British colony. 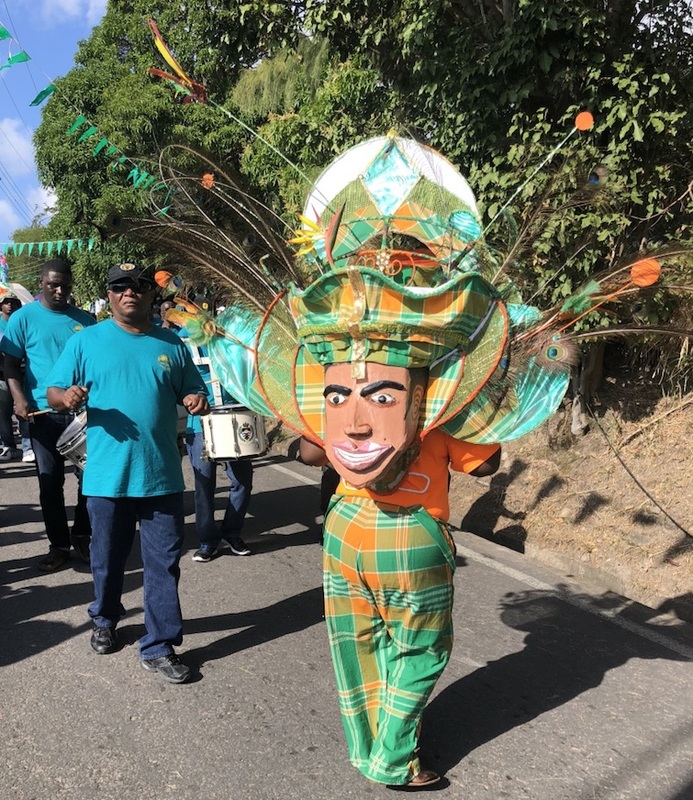 Whatever the case, the Montserrat St Patrick’s Festival with deep historical links to the 1768 slave rebellion is still a good reason to visit the island. 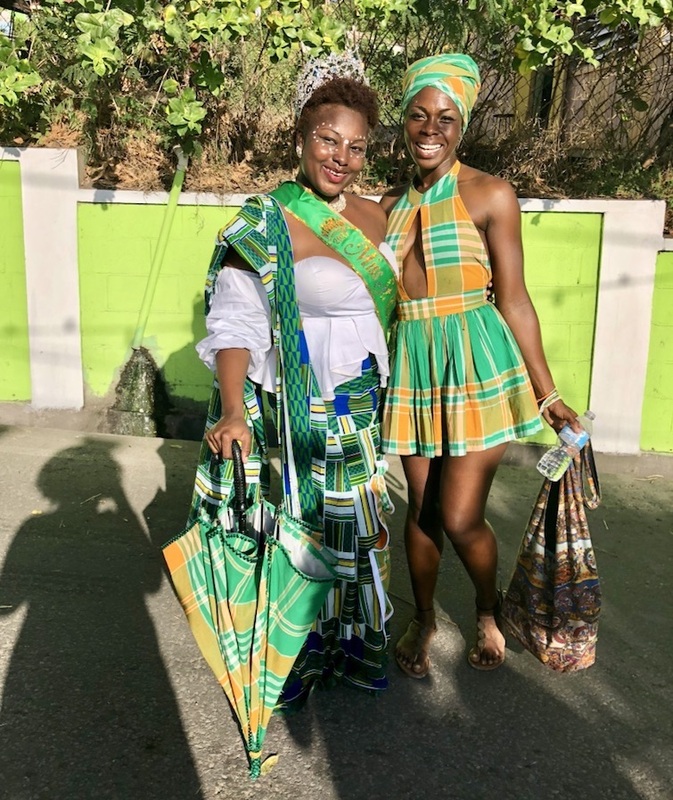 As in addition to the lush green landscape which you can explore through numerous hiking trails, you’ll also see a lot of green as represented in the Montserrat national dress with Madras fabric. Plus the range of events showcases the best that Montserrat has to offer, and there is something for all ages. 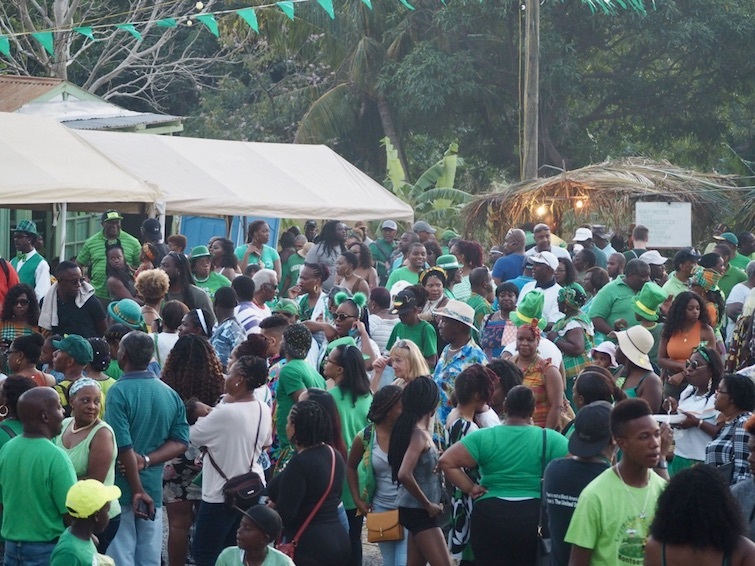 It should be noted that a large percentage of people who currently attend the Montserrat St Patrick’s Festival are members of the Montserrat diaspora so it’s like a big family reunion, where all are welcome! 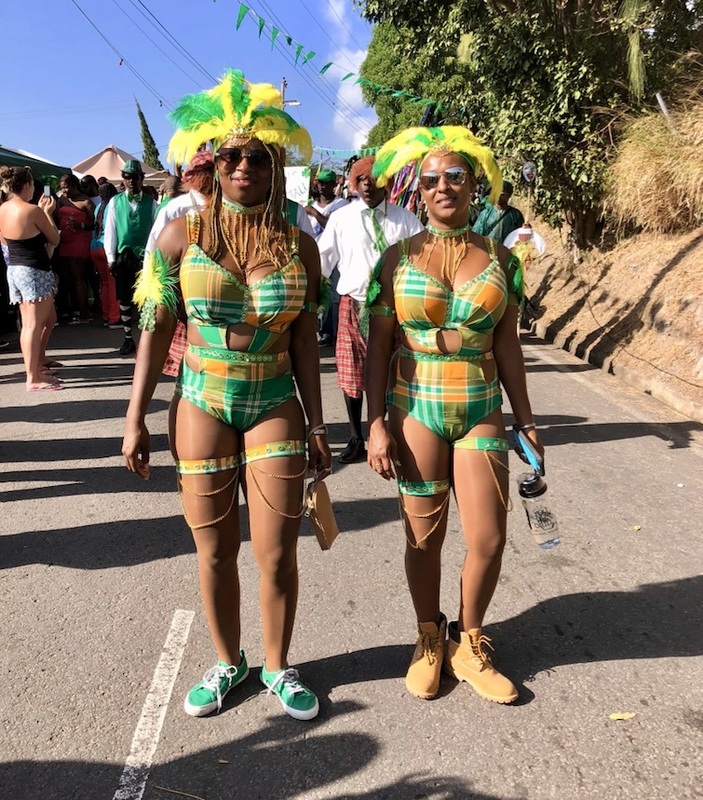 But as the Montserrat St Patrick’s Festival gets bigger, its evolving and for some the real meaning may not be known or even lost. So you have this mix of Irish, Caribbean, and African stories that show up on the day. Despite this, the Montserrat St Patrick’s Festival is one of the top things to do in Montserrat as it is a showcase of its people’s ability to commemorate its freedom fighter ancestors and to move beyond the legacy of slavery and even in modern times, the Soufriere Hill volcanic eruption which has drastically reshaped the island and its people.